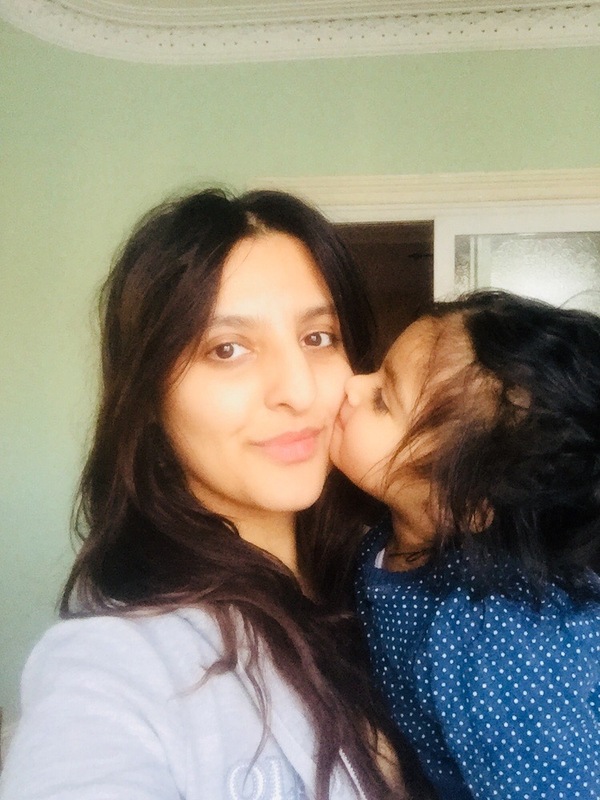 A morning kiss from Aasiya to mummy, no makeup transfer here! It’s clear I’ve already failed with one of my 2018 resolutions, to blog consistently and frequently. It would be easy to blame my inactivity on the children or my responsibilities but that would also be lying. I’ve just had a chill couple of weeks and not thought about blogging. As many of you can probably relate too, having a phone/iPad/laptop with you all the time means that your often not engaging in the moment, I’ve noticed that I’m always on Instagram or YouTube when I should be playing or interacting with my children, so I have a new rule: no technology when I’m playing with them or at bedtimes. I can do my blogging and instagraming when they’re napping during the day or with their dad. This time is so short and these moments to precious, I don’t want to miss out on them for the sake of a few likes. As you’ve guessed they are both having their afternoon nap so I thought I’d do a quick post updating you on one of the ways I’m going to amuse myself in 2018 – by doing a monthly challenge. I thought I’d do something every month, something small and achievable, that is solely about me. As I have two children under 2, the challenges can’t be too tasking and I’d like them to fit into the bigger picture of my health and wellbeing. So my January challenge was to not wear any foundation and there were a couple of reasons for this. One, if you follow me on Instagram you’ll know I’m a little obsessed with my skin & the ‘no foundation’ rule was just to see how my skin looked after a month of no make up but also to encourage me to go out and feel comfortable without the need to wear it. As I’ve spent the best part of the last 3 years pregnant and breastfeeding, I’ve stopped using things that have harsh chemicals or other unsavoury ingredients and with two children I don’t have the time to put on a full face of make up, but I have generally worn foundation when going out. It’s comforting and like a mask of acceptability as it makes you look and feel more alive and alert than you might otherwise feel. Secondly, one of my pet peeves is having my make up rub off on my children’s clothes, and as you can imagine or might have experienced, foundation comes off with the slightest contact. All of Idris’s hats and grows would have a smudge of brown on them and Aasiya likes to pull at my face (please assure me this is normal behaviour, she literally grabs my cheeks and pulls!) so her hands were covered in foundation and blusher. I just wanted to be able to kiss and snuggle with my babies without subjecting their skin and clothes to my makeup. Shockingly no one battered an eyelid at my no makeup face, I wasn’t refused entry anywhere and my hubby still told me I was beautiful (he didn’t even notice to be honest!! ), so all in all the January challenge went well. My skin was fine, there was no obvious improvement which made me think that the true saviour may lay with not what I put on my skin but what I put in my body! Which leads me onto my February Challenge. As mentioned earlier the point of these challenges are to make me feel better: physically, emotionally and spiritually (Not necessarily all at once!) Pregnancy really messes up your body and labour is very much a trauma, no matter how easy or difficult it is. Your body suffers. One of the most difficult things for me was (sorry in advance for the gross over sharing…) was going for a number two! Poohing. Basically when in labour you have to push like your having the biggest poop of your life, you put all your strength and energy in pushing down into your bottom (that’s why lots of people literally poop themselves while in labour) but after labour, depending on how it all went and if you had a tear or an episiotomy (a cut) which most women will have, going to the loo can be very painful. Even now, 3 months after having my baby, it still hurts. One of the few things that can naturally help you heal, not just the above but so many other side effects, is drinking more water. So my February challenge has been to drink 2 litres of water a day. You don’t need me to sing the praises of water to you. You know how important it is for all your organs, including your brain. Water cleanses and protects you, yet so many of us don’t drink enough of it. Not only has it helped with my healing but it’s also reduced my water retention and helped me with breastfeeding (which is a very thirst inducing activity) so this February I’ve given up all soft drinks in favour of water, the only other thing I drink is tea, twice a day with no sugar. I’m turning 35 next month so I was thinking I’d do 35 sit-ups every day throughout March, I’ve put off exercise for long enough, and this might actually help me lose my post pregnancy belly. I’m not sure what else I’m going to do for the remaining months but I’m open to suggestions if you have any. As the babies get bigger, later in the year I’ll be able to be more adventurous, but the key is that they have to be realistic targets that I can achieve and things that will help me feel and be better.